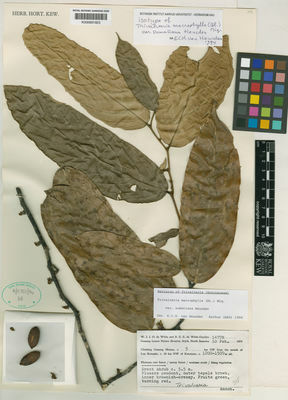 Species: Trivalvaria macrophylla (Blume) Miq. This variety is accepted, and its native range is Sumatera. Turner, I.M. (2018). Annonaceae of the Asia-Pacific region: names types and distribution Gardens' Bulletin Singapore 70: 409-744.